Overcome them all and more in just a few minutes. Introducing the Mace Energy Method. cause dissolution and upset dis-creation. never look back with pain again. The Mace Energy Method: Therapy Addressing the Cause. Unlike the conventional methods of therapy you know, the Mace Energy Method doesn’t rely on pure narrative. Instead, it only asks you a fundamental question to guide the session. The therapy itself is non-confrontational. It focuses on eliminating the cause of the feelings, emotions, behaviours, and attitudes you have developed in response to the negative events in your life. By targeting the cause of these negativities, the Mace Energy Method helps you effectively eliminate them, leading you to be in charge of your life once again. Some of you have been through disturbing or distressing experiences. Some have an irrational aversion or fear of something. The Mace Energy Method allows you to eliminate your fears and distressing feelings. Some of you experience consistent emotional or mental tension due to the demands of life. Some are just worried due to life’s uncertainties. The Mace Energy Method allows you to be in control of your life and your decisions. Some of you live in the decapitating world of addiction. Some just go about developing feelings of resentment, anger, hate, malaise, and pessimism. The Mace Energy Method can help you recover and develop a positive outlook once again. I had an MEM session and I felt really good afterwards. I felt really positive about me and could not even say I was dumb anymore. I could see how me thinking that stopped me from doing my work. I am smart and I know I could walk away from the people who are not my real friends without any bad feelings. All my life, I felt guilty. As a result, I thought I had to pretend to be whatever others wanted me to be. After my MEM counselling session, I felt light and free and all my guilt feelings were gone. I regained the lovely feeling of innocence. The Mace Energy Method is the best thing I have ever done. I am free to be me now. Thanks for a wonderful session and experience today. I feel somehow different, lighter, wiser, and calmer, in harmony. I feel that I am practicing expression of my true self most of the time or maybe I could say, all the time. I love who I am, and I love my life. I wouldn’t want to be anyone else, and I wouldn’t want to have anyone else’s life. I love me! My work was becoming increasingly stressful, to the point where I was having relationship, health, and sleep problems. After eliminating the feelings of stress in my MEM Therapy Session, I also realised that work is not my whole life. I’ve slept well every night since the session, made time with my wife and handled the demands of my role and job with more attention, clarity, and calmness. Simply a-macing! Having heard but skeptical of MEM, I decided to have a session. I was so surprised to find it was an emotional and head-clearing experience. My attitude towards life, my job, and family has changed. It has turned my life around. I feel I am me again. I strongly recommend MEM to all. It really works. Thank you. I am now more outgoing and happy in all areas of my life. I came home from work to find an empty home. Overwhelmed with shock, I drank to bury the overwhelming feelings. I lost interest in my life and I could not go to work. A work mate told me about MEM. I cannot tell you how much it has changed my attitude. It was amazing to walk out of that one session with no overwhelming feelings and not tell my story. I am now handling my situation with a whole new attitude. Thank you. MEM has changed my life more forever. I had a work related accident which injured my back. It took a few months before I could return to work. Even though back at work, the injury kept giving me problems, inhibiting my work capacity. After a while, workmates & bosses turned on me accusing me of bludging. This caused me great stress. I felt the whole world was against me, & I became very cranky. I even resorted to Valium for help. After just one MEM session, all the stress went. Now, I just go to work & enjoy my job. I no longer use Valium nor do I react to others comments. I also have not had a cranky day since. The big bonus is that when the stress feelings went, my back stopped giving me problems. Thanks! I wish to thank you for the wonderful changes in my life since having that session with you. Over my life, I have suffered with depression and anxiety. I’ve tried many modalities to heal and change this condition. After one session with you, the change is so profound that I have decided to train with you and become a practitioner. It is the only modality that has completely eradicated my depression. Thank you with all my heart. I had suffered with Post Natal Depression since my first child was born. After my second child, I was experiencing severe exhaustion, panic attacks and anxiety. I was so bad that I was unable to cope with looking after the children. The depression, anxiety and panic attacks continued for the next four years. After my session with you, I felt more confident and calm within. I also noticed that my physical health and well-being has improved a great deal. Thank you. Thanks for the great phone session. I came face to face with my ex-partner this week. Usually, I am very upset and it lasts for a few days. This time, I could hardly believe it. The meeting had absolutely no effect on me. I feel so much stronger now. 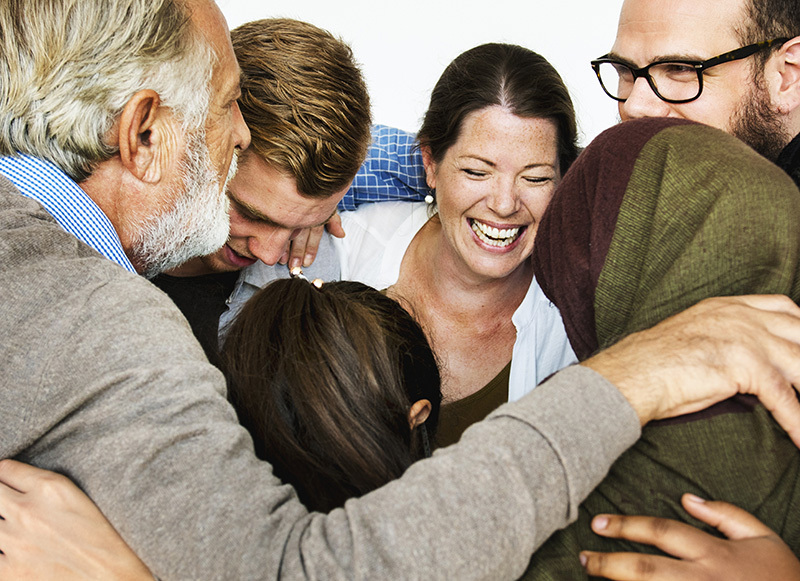 Wherever you are in the world, Mace Energy Method Practitioners are standing by to help you. Find the closest on in your area and reach out to them. Who knows? That one session can change your life forever. Discover how the Mace Energy Method is changing the lives of countless individuals. 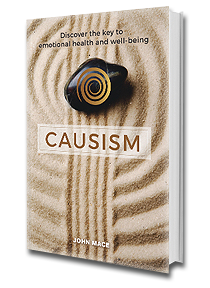 Subscribe and get a complimentary preview chapter of John Mace’s book: Causism.